Beautiful Updates Everywhere You Look! 4 Beds, 2 Baths | 1,400 sq. 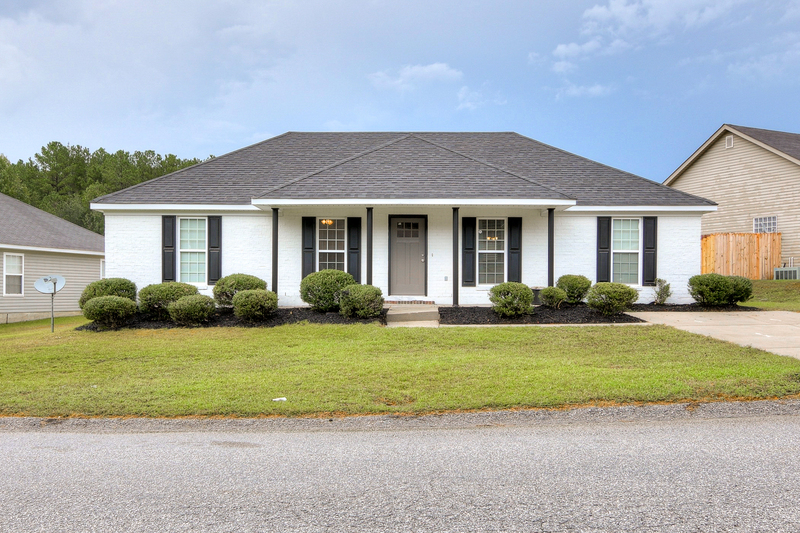 ft.
With a new roof, fresh paint and gorgeous new finishes throughout, this darling four-bedroom ranch is sure to charm your family. Freshly painted white brick siding, black shutters, a rocking-chair front porch and manicured landscaping create a beautiful front view. 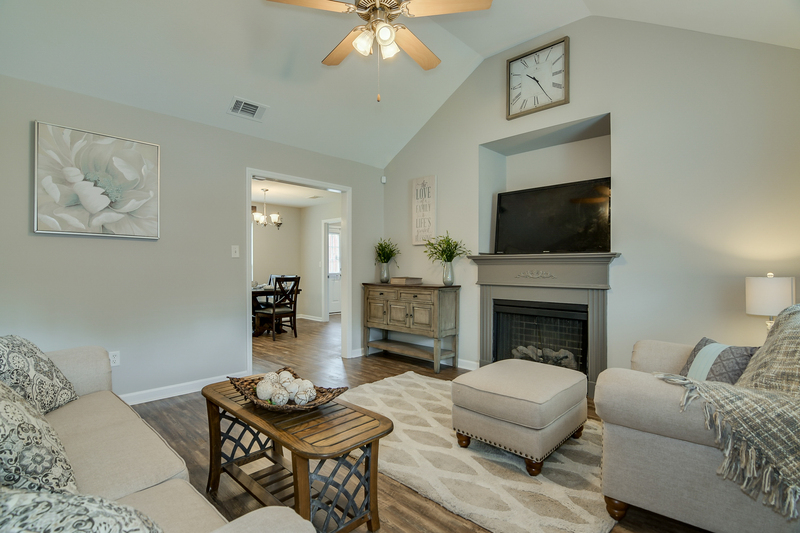 A new front door opens into the cozy great room which boasts a cathedral ceiling with fan, a lovely electric fireplace and wood-look LVT floors which continue throughout the entire home. New interior doors have also been added throughout. 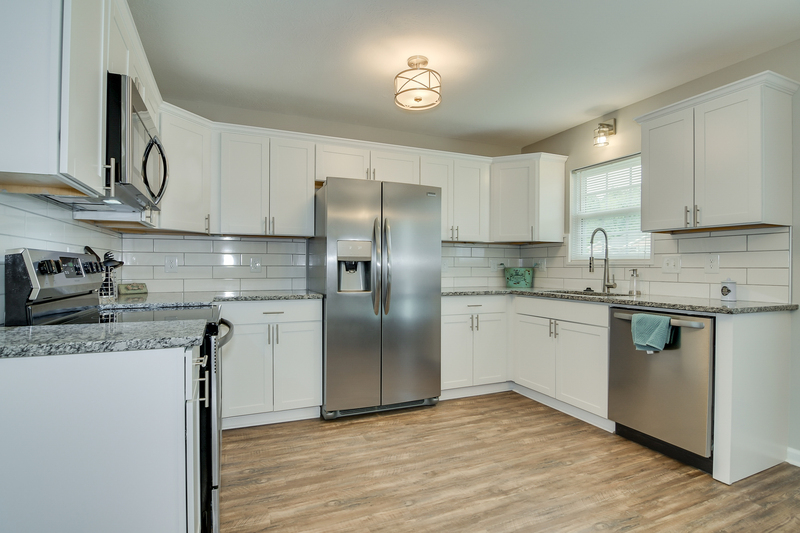 The adjacent kitchen is cheerful with new cabinetry and hardware; new granite countertops; a new stainless-steel appliance package; a pantry; a beautiful white, subway tile backsplash; new light fixtures; and an eat-in dining area. Close by, the laundry room doubles as mud room with a door to the back patio. Proximity to the kitchen also makes outdoor entertaining a breeze. 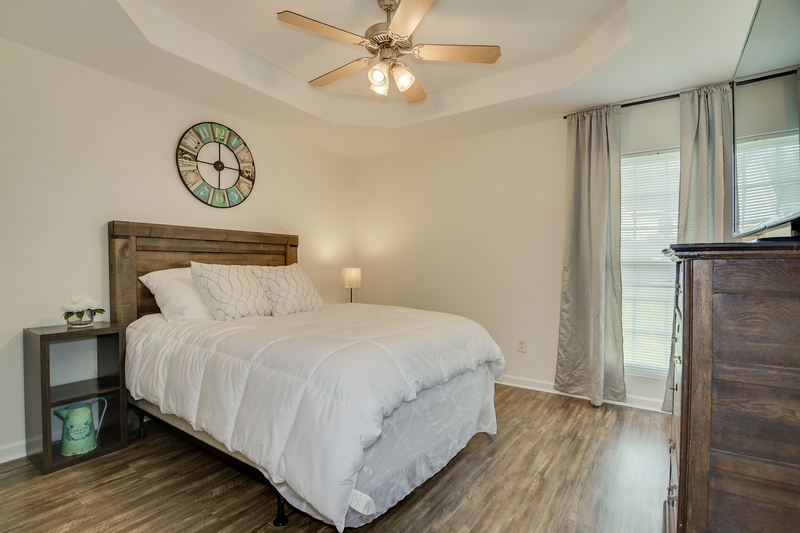 Down the hall, the owner suite features a tray ceiling with a new fan, a walk-in closet and a private full bathroom with a new granite-top vanity, mirror and tub-shower combo. 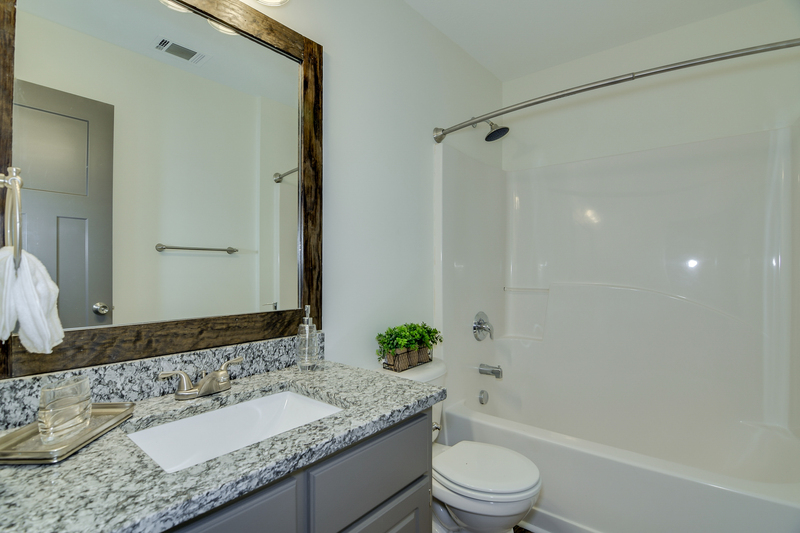 Another full bath is close to the secondary bedrooms as well as the main living areas, boasting the same attractive updates. Completing the package is a spacious backyard with privacy fence.